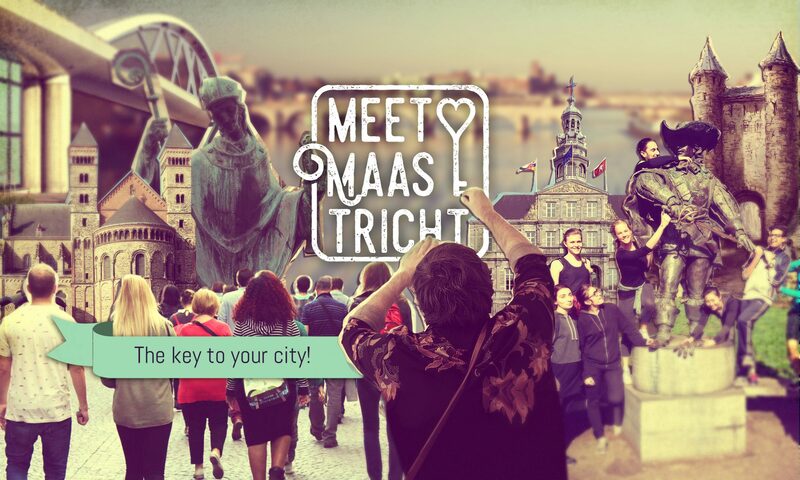 Meet Maastricht – The key to your city! Are you new to Maastricht? Are you curious about the town and its history? Meet Maastricht will take you on a beautiful journey through time, helping you discover the town’s secrets! We organize tailor-made activities for students and other young internationals, in collaboration with experts from cultural institutions of Maastricht. We also guide you through the most interesting cultural events happening in Maastricht. We launched this project in September 2016, because we felt that there was a gap in the cultural offer in the city. There are over 16.000 students in Maastricht and more than half of them do not speak Dutch. It’s a very dynamic group, changing every year, consisting of people who are genuinely curious, intelligent, and who often look at Maastricht through the eyes of a tourist. Still, before the launch of Meet Maastricht, there was hardly any way for them to really get to know the city, with its beautiful monuments, stories, traditions and hidden treasures. So we started a collaboration with local experts in heritage and tourism and now we are really amazed about how quickly the Meet Maastricht community is growing! Since August 2017, we are a Foundation, which allows us to do even more for you! Our first team (2016-17), Cristian Tala, Daniel Duarte, Justyna Kamińska and Mathijs Stofbergen, has been now replaced by a new one: Julia Hermann, Lucy Willems, Maria Vatista, and Yaren Kasoglu. We also have a board now, consisting of prof. Pieter Caljé (president), JustynaKamińska (treasurer), and Stefan Vrancken (secretary).